One of the rights of a citizen is to gain a decent job and be paid salaries as well as the opportunity to grow in the field of profession without any coercion, intimidation or oppression in order to contribute meaningfully to the development of his/her society. The Sustainable development goals of which the president of Ghana is a co-chairman to its advocacy platform has laid emphasis to this in its goal number 8. Nationally, the 1992 constitution of the republic of Ghana section 24 has also addressed this issue in detail. It is evidently clear that, the Ghanaian job seeker is faced with limited job opportunities for which one has to apply and put into practice expertise gained out of skills acquired through education and mentorship. The demands that come with accessing and gaining a job in the face of the numerous limitations are very cruel and violate the rights of the applicants. 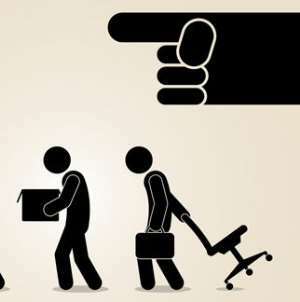 The exploitation of job applicants through monetary extortion, sexual favours, tribalism and nepotism etc by people in authority are no news to the Ghanaian desperate job seeker. Even in the midst of working, the Ghanaian worker is coerced and totally silenced to the extent of being unable to voice his/her frustrations even to the point where his/her rights are being violated due to one’s fright of loosing his/her job in the face of job scarcity or none existence of it. Issues of one’s inability to seek for non-payment of salaries which might be in arrears for about 8 months or more, salary arrears after gaining promotion to new ranks, access to capacity building opportunities, etc. are just few examples of an oppressed labour regime in Ghana for over two decades now. The National Labour Commission and Fair Wages and Salaries Commission have always been called to come in during labour agitations as mediators and it is very demoralizing to listen to some of their utterances which are at times very enunciating and detrimental to the integrity of members of labour unions. NLC is always been perceived to be reactive when labour issues crop up to which its utterance seem to consolidate labour union actor’s perception about the institution of being in bed with the government in power. So, who cry for the Ghanaian worker whose take home salary does not even take him/her out of the banking hall? The impact of inflation on prices of goods and services continue to steady devour the pocket of the ordinary Ghanaian worker. ‘Hmm, it’s better than sitting in the house’ is the comforting statement of the ordinary Ghanaian worker.’ Frustration, insults and intimidations at work places by supervisors, managers etc , coupled with home demands continue to compound the health status of the Ghanaian worker to which occupational health experts are much aware of. As a nation we need to be truthful to ourselves and manifest love for each other through our works. Let us accord one another with dignity, respect and honour in our pursuit in fulfilling our side of the bargain with sincerity, fairness and without malice. The period where deductions and in some cases the whole monthly salary are alleged to have been secretly diverted and invested as treasure bills by superiors without recourse to the sufferings and pains of victims must be ceased and much introspection done by perpetuators for divine forgiveness and free of consciousness. Let us eschew greed, pride and boastful life for we are here for a very short time. It’s our right to promote love and humanity through which we shall gain freshness of spirit and mind.